All you need for the most magical times of year. 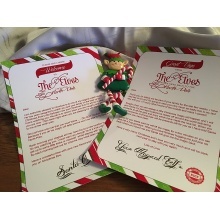 From letters fram Santa to welcome letters from the elves. Elf surveillance. Dummy security camera. 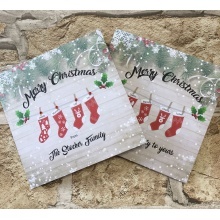 A pack of 25 repost cards from your elf. Sized A5. Keep the magic alive for your little one. PRE ORDER ONLY. ITEM WILL BE SHIPPED ONCE CONSIGMENT COMES INTO STOCK MID OCTOBER. ORDER NOW TO GUARENTEE DELIVERY AS THIS ITEM SOLD OUT IN DAYS WITH LAST STOCK. 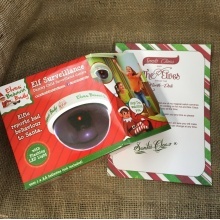 This dummy security camera is a fantastic addition to your elf collection - your children are bound to behave perfectly under the watchful eyes of the elves! Maybe you will even catch an elf causing mischief... Elf surveillance. Dummy security camera. The elves are watching you!. Please note: this is a toy replica. With red flashing light. Presented in PVC box. 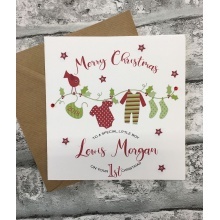 A really cute sign to go on your little ones Christmas Eve Box. 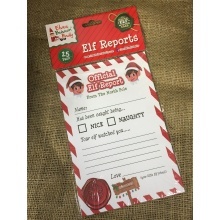 Personalised with their name and telling them they have been a good Girl/Boy and they are on the nice list. Printed on 300gsm card so is pretty sturdy. Message can be changed to suit your child or just to other house ie Grandparents etc if not staying at home Christmas Eve. Arrival and goodbye letters from your elf. Sized A5 and complete in envelopes. 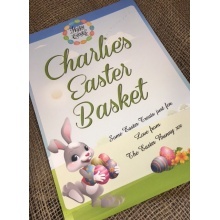 A sign to pop in your child Easter Basket or Box from the Easter Bunny. Printed on heavy weight card so is nice and sturdy. 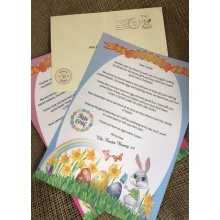 A personalised letter to your little one from the Easter Bunny. It can have more than one name if you wish to address it to more than one child. 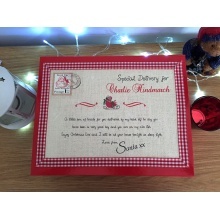 Complete in an A5 envelope with your childs name on. 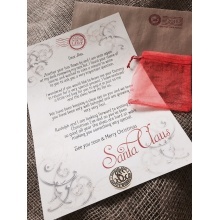 A personalised letter from the man himself to tell your child they have mage is nice list. Can be adapted to include the special gift they have asked for. 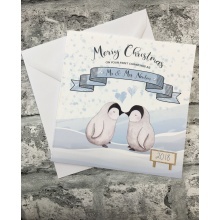 Printed on high quality and comes complete in A5 envelope with authentic North Pole stamps on which can have child's address on just name. 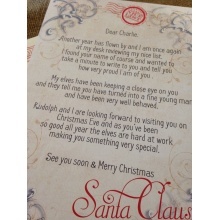 A personalised A4 letter from Santa asking your little one to give him their Dummy. He asks them to leave in in a little red bag which is supplied with your letter. Complete with kraft brown envelope stamped with North Pole post marks. Please provide us with the names you would like on your letter. 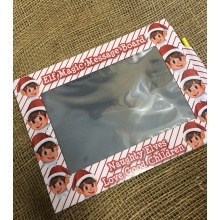 A really cute reusuable magnetic seal box to give gifts to people of Christmas Eve. 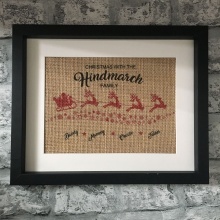 Personalised with Child ( or adult or family ) Name. deal size for jarmies, DVD and a few treats. Can have choice of ribbon, Red & White Check or Do not Open Until Big Day Please note no content included. 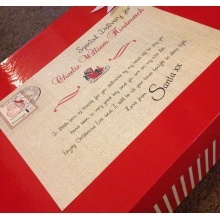 Please email note to seller with Name for box and ribbon choice.